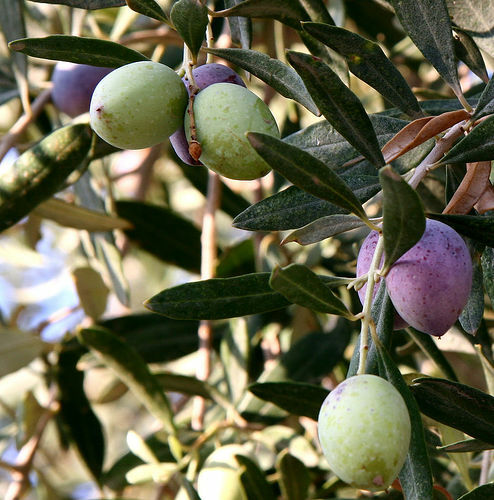 The wonderful benefits of Olive Oil have been well researched. All the new tasty olive oils have also been tempting us to try them. But did you know about the wonderful benefits of olive oil for the outside of your body? Olive Oil is high in antioxidants as well as Vitamin E and Vitamin A. Due to the high amount of Vitamin E content, it can be used topically for acne, scars, stretch marks and hair treatment. Olive oil does not clog pores and can be used in acne scars to help heal without the disadvantage of causing new ones to appear. For a wonderful spa hair treatment, simply massage about 1/4 cup of warm olive oil into your hair and let it sit for 30 minutes. Shampoo thoroughly and dry and style as usual. The olive oil will leave your hair soft and silky. Olive Oil is also high in oleic acid as well as Vitamin E which makes such a very moisturizing soap. These qualities help soothe sensitive skin as well as dry and mature skin. Olive Oil soap that is plain with no added scents would be perfect for skin that is sensitive to conventional soap as well as for young skin such as babies. The high antioxidant qualities of soaps with olive oil help the skin retain moisture and stimulate new cell growth. This keeps you skin well-nourished. Thanks so much for stopping by- let me know how your hair spa treatment goes! I’m visiting from 31 Day Blog Challenge. Thanks for giving us the green light to use olive for other than cooking. As I read your post it made me think of the many uses of coconut oil as well. I am one who loves to purchase soaps for their aroma, packing and especially love the ones I can find in Home Goods. They make great gifts. Additionally, for my everyday use I tend to stick with body wash that has a generous amount of Shea butter and almond oil.